The 2019 Chevrolet Silverado 1500 was introduced to the world at this year’s North American International Auto Show, making it one of the most talked-about and important models to be introduced at the first major auto show of the new year. We don’t know everything about the 2019 Silverado yet as some details such as engine specs will be unveiled down the road, but we do know enough to know that this new-generation Silverado will be a pickup owner’s dream. The 2019 Chevrolet Silverado is one of the most important models to be unveiled at this year’s North American International Auto Show. First of all, it’s a very popular vehicle with hundreds of thousands being sold in North America every year. Secondly, it is incredibly advanced with its concentrated use of high-strength steel, its refined interior, and its overall improvements made to usability and drivability. Moreover, Chevrolet made sure that the new 2019 Chevrolet Silverado would be as durable and reliable as its owners need it to be. Indeed, the 2019 Chevrolet Silverado was tested for over 11,2 million kilometers so far, and the seats have been moved forward and back over 100,000 times to ensure they always will remain in perfect working order. That’s pretty impressive right there! Other features include a chassis that is now made up of 80 % high-strength steel. The same steel can be found in the frame and various other components of the new Silverado while aluminum is used elsewhere. All and all, this is a very advanced Silverado from a design standpoint, and the use of such advanced materials should translate into a safer, more robust and muscular Chevrolet pickup. We know that the 2019 Chevrolet Silverado 1500 will offer two V8 engines, a 5.3-liter and a 6.2-liter, but we do not yet know what other engines will be offered or how much power they will deliver. We do however expect these new engines to be remarkably fuel-efficient. There will also be a 3.0-liter Duramax diesel engine in the lineup. Other improvements include wider corner steps, a longer box in the back, and the integration of Apple CarPlay and Android Auto. 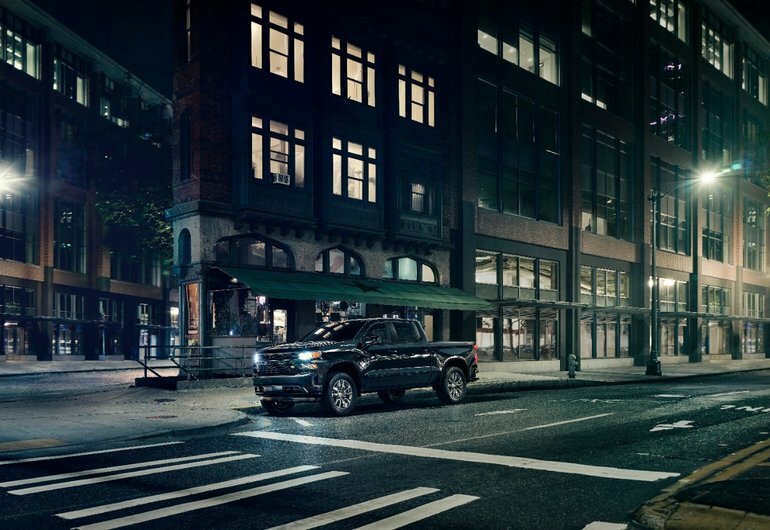 To learn more about the 2019 Chevrolet Silverado which is expected this fall, contact us today at Bruce GM Middleton.